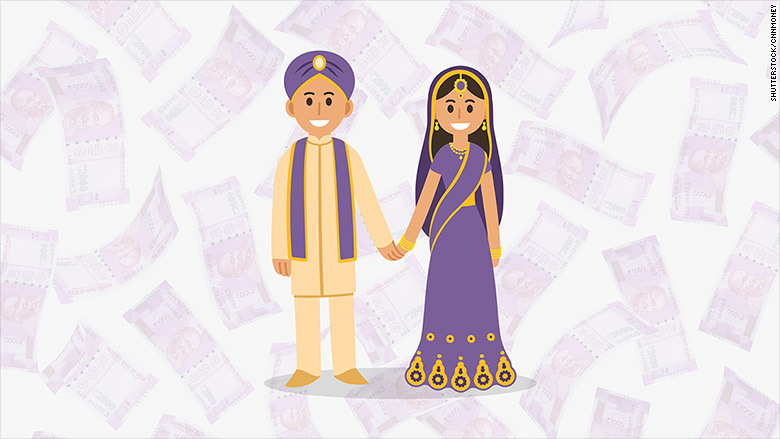 How to beat India's cash crunch: Get married! Last week's shock ban on India's two biggest banknotes came at a particularly bad time for anyone getting married. The country's wedding season reaches its peak this month and next, and most are paid for in cash. Tough limits on withdrawals of new 500 and 2,000 rupee notes were causing havoc. Now there's relief for millions of happy couples: The government on Thursday relaxed those limits for people with a wedding in the family. 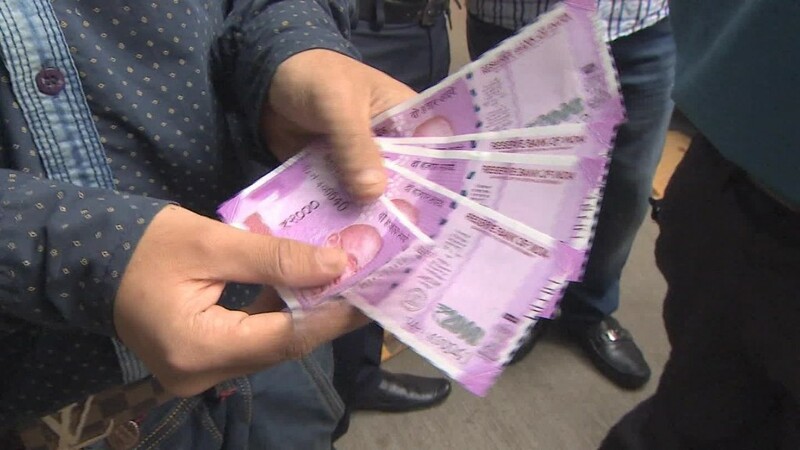 They will be allowed a one-time withdrawal of 250,000 rupees ($3,700) -- more than 10 times the current weekly limit of 24,000. "It can be withdrawn either from the account of the father or the mother... or those who are getting married," Shaktikanta Das, a senior official in the finance ministry, said in a statement. The catch? Only one withdrawal per family will be allowed, and officials will require the person making it to sign a declaration to that effect. India witnesses a sharp spike in the number of weddings every November and December, a period Hindus believe is a good time to get married. An estimated 10 million weddings take place in India every year, and they tend to be elaborate affairs often costing thousands of dollars. As with over 90% of transactions in India, everyone from musicians to caterers at the lavish ceremonies are usually paid in cash. Prime Minister Narendra Modi's Nov. 8 announcement that 500 and 1,000 rupee notes would immediately be discontinued — a move to combat corruption and tax evasion — threatened to put the brakes on much impending marital bliss. When Hemant Kumar spoke to CNN last week, he was fretting over how to pull off his son's wedding the next day. The 4,000 rupee daily limit on trading in old notes (now reduced to 2,000 rupees), was nowhere near enough. Indian mining tycoon Gali Janardhan Reddy reportedly spent $75 million on his daughter's wedding this week. Raj Kumar (no relation) also said he was struggling to make payments for his sister's upcoming wedding at the end of the month. "Maybe... Narendra Modi will do something," he told CNNMoney last week. But with banks and ATMs witnessing huge lines and cash shortages for the eighth straight day, getting the money out will still be a challenge. And the cost of many Indian weddings will far exceed the new relaxed limit. 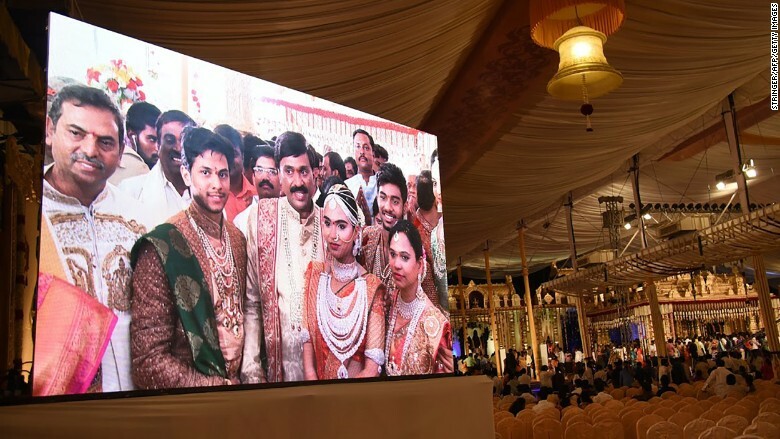 One particularly extravagant five-day affair in southern India this week, the wedding of a mining tycoon's daughter in Bangalore, reportedly cost about $75 million — including over 3,000 bouncers and samba dancers flown in from Brazil.